We provide land transportation services for organic chemicals, inorganic chemicals, and high-pressure gas with a full lineup of trailers, stretching also to special-purpose vehicles, such as chemical lorries and high-pressure gas lorries. 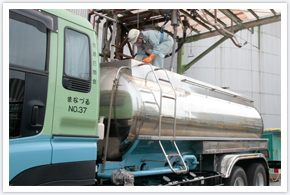 We are specialized to handle all types of liquid chemical products. 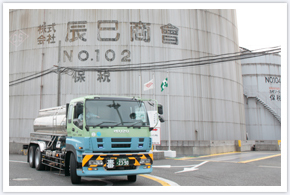 We have our own tank terminals in Osaka and Nagoya and offer a total logistics service via our business linkage and networks. There are a vast number of different liquid chemical products and these are not classified into organic chemicals or inorganic chemicals but rather by their various natures and individual properties. We achieve safe handling and transportation with our respective knowledge for the handling of each product and firm grasp of necessary skills. We are proud of being a professional operator that can handle such chemical products according to the designated safety procedures for each product. Our Company Policy always puts safety as our first priority. Safety and risk assessment performance are carried out on a daily basis with respect to our handling of products classified as dangerous commodities. 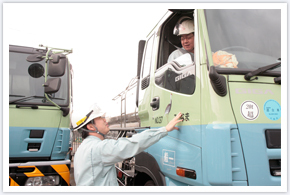 Our vehicles are also equipped with digital drive recorders for management of driver working conditions and the cultivation of risk-aware driving habits. Day by day, we provide drivers with training while at the same time paying greater attention to maintaining regular driving operations, so that we are always ready to respond with additional drivers to deal with incoming irregular orders. 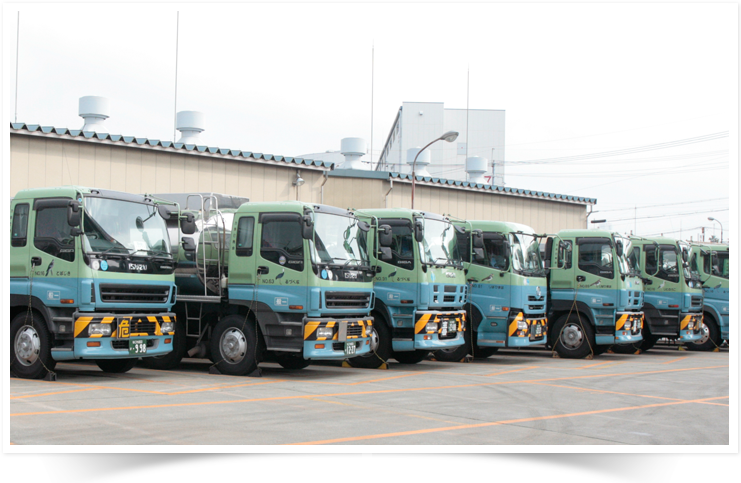 We believe such measures play a vital role for Tatsumi as a responsible provider of transportation services. Copyright© TATSUMI SHOKAI Co., LTD. All Rights Reserved.